Did you find that body of water via google maps? They wouldn't have shown on Google Earth due to the size. I drove around during the day, just mooching about and checking any likely sites. After dark I revisited those sites with a torch. I know checking the maps or Google Earth is a good way to locate potential water bodies, I just didn't really have too much time. Not until mid August did we return to Spain, landing this time in Alicante rather than Malaga. Our base is now the town of Oliva, some 80kms south of Valencia. With only one previous short visit to this area of the coast, it will hopefully offer us some new wildlife spotting opportunities. One positive from our trip home is I have managed to obtain a new camera at a reasonable price. I hope the photographs will benefit. Living in Oliva old town means there is a couple of kilometres to walk to get to the beach and sand dunes. Thankfully there is a path which follows the course of a shallow river all the way down. 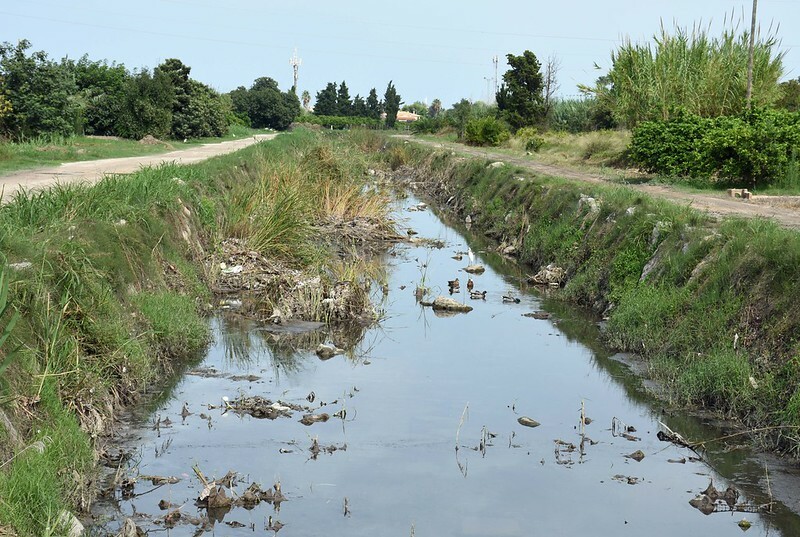 Although the water is littered with plastic rubbish and the outrun from numerous storm drains it is still home to plenty of wildlife. 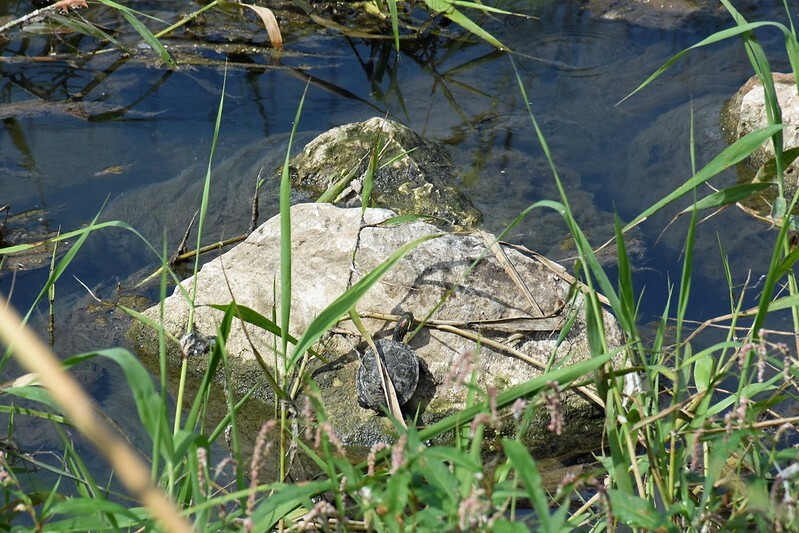 Most obvious are the terrapins, with Red-eared outnumbering the natives by around 10 to 1. Some of the Red –eared are hatchlings from earlier in the summer. 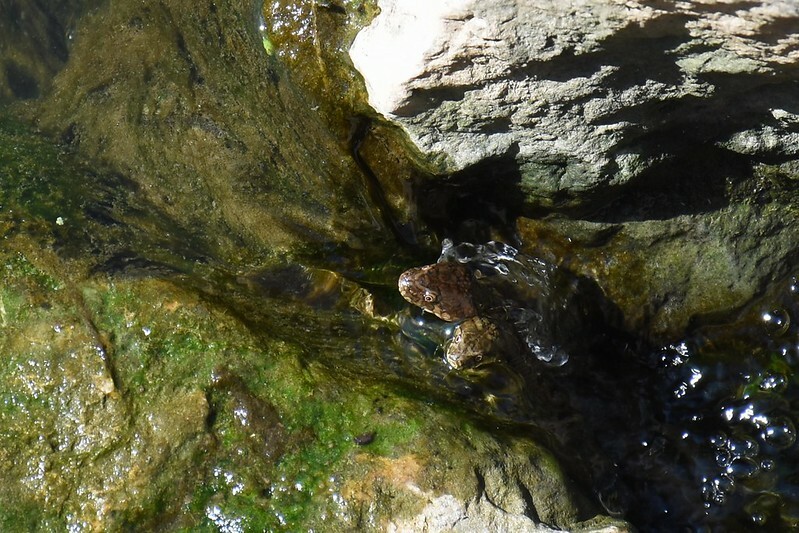 Also lots of Iberian water frogs of all sizes both around the water edges and, after dark, in the puddles on the footpaths. 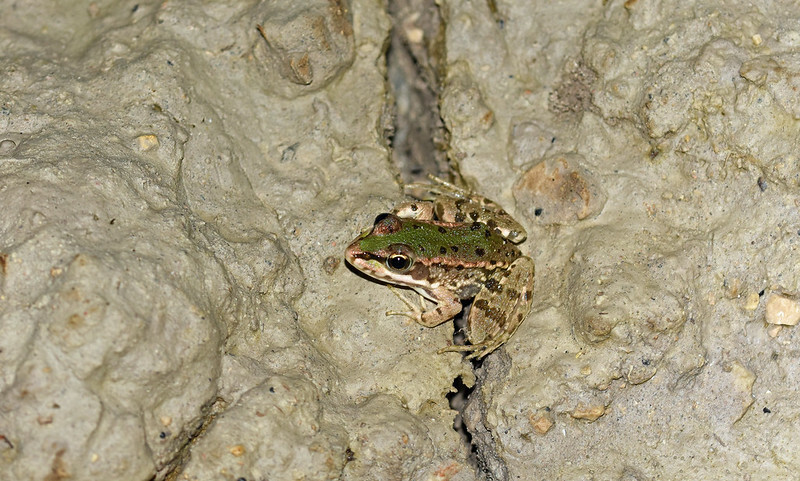 Iberian Water Frog (Pelophylax perezi) in drying puddle. 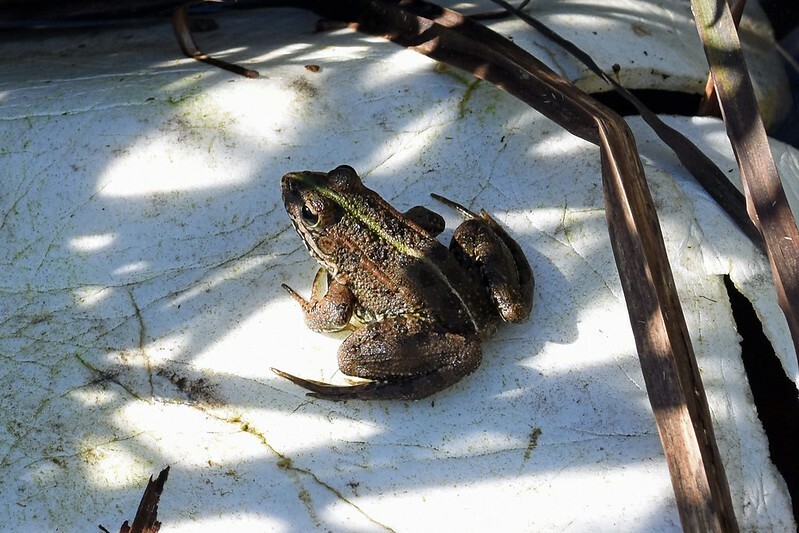 Iberian Water Frog (Pelophylax perezi) just out of the water. 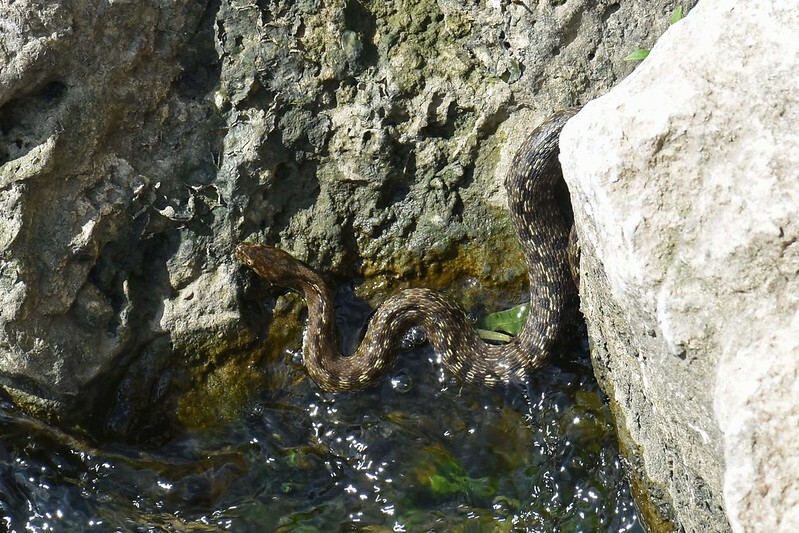 Other sightings along the river include Viperine Snakes (Natrix Maura), one individual seems to have it’s own territory and I’ve spotted it on three different days around the same river boulder. 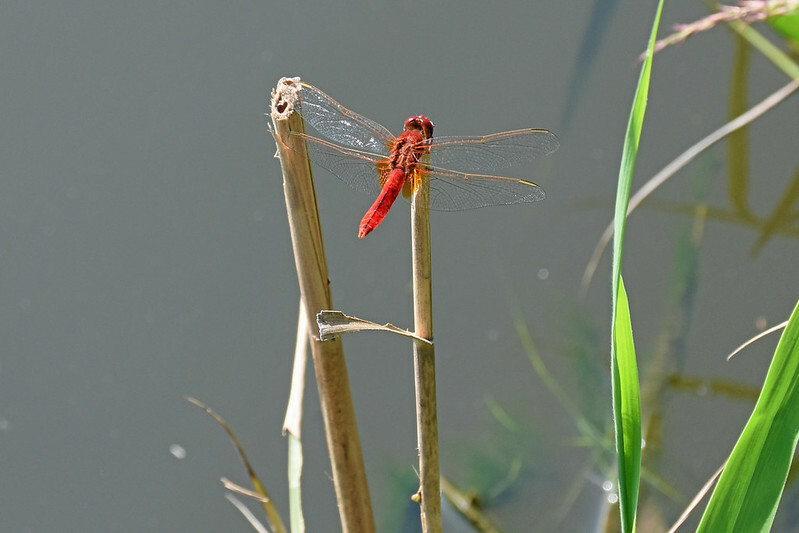 Lots of different Dragonflies and Grasshoppers providing food for several bird species. 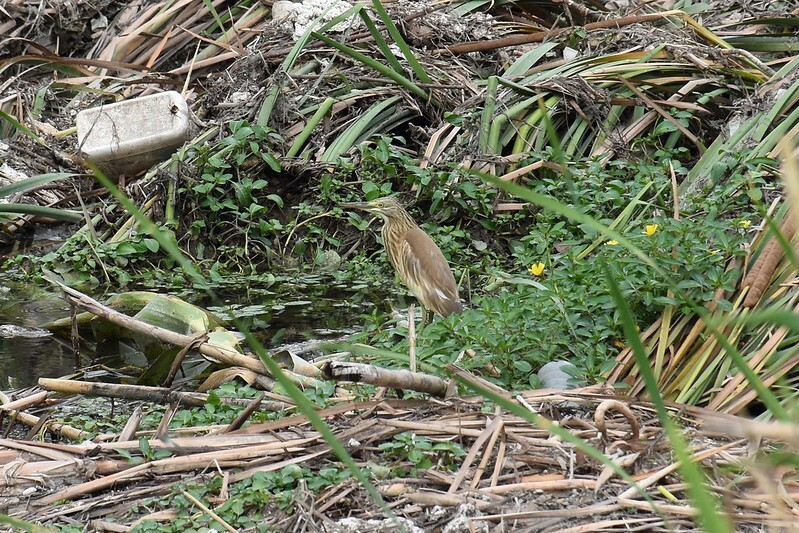 Hoopoe, Little Egret, Kingfisher, Golden Oriole, Squacco Heron, Swallows and Cattle Egret are regularly seen. A couple of bridges cross the river linking rural citrus fruit growing areas. 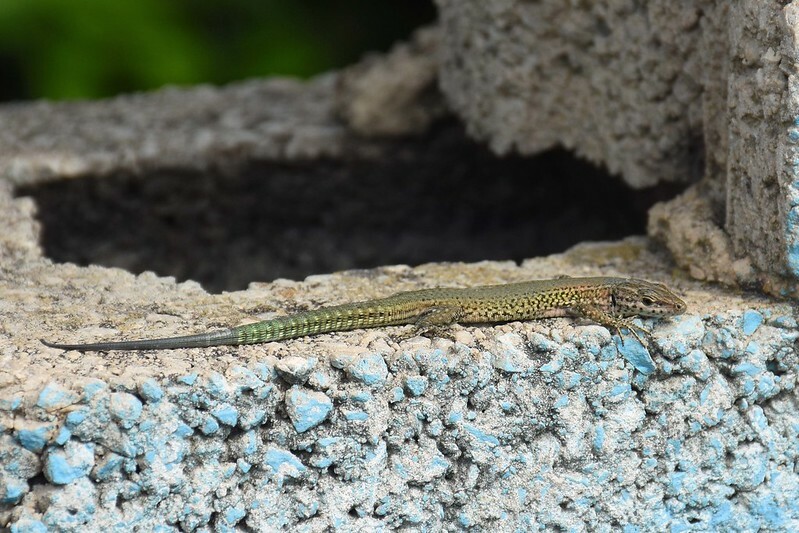 The breeze block walls at the road edges are a good place to spot the local Wall Lizards. The beach at the far end of the river is backed in part by extensive sand dunes. 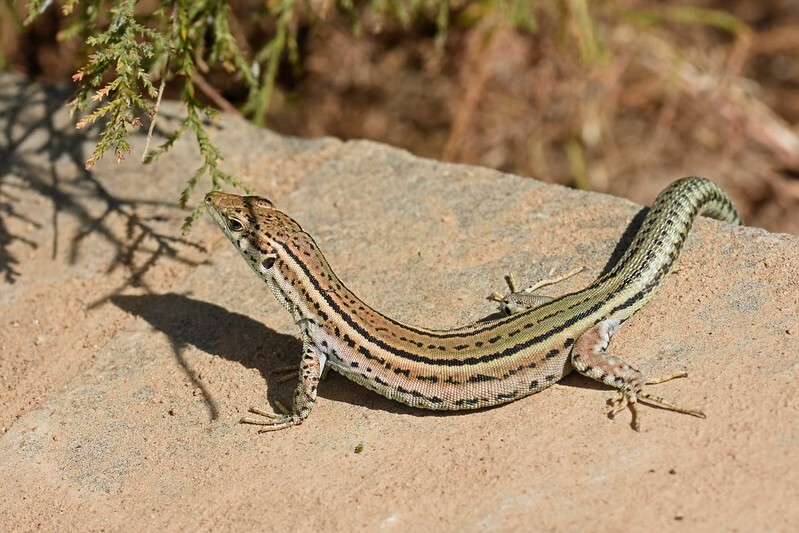 So far they have proved to be hot and difficult places to spot fast moving reptiles. 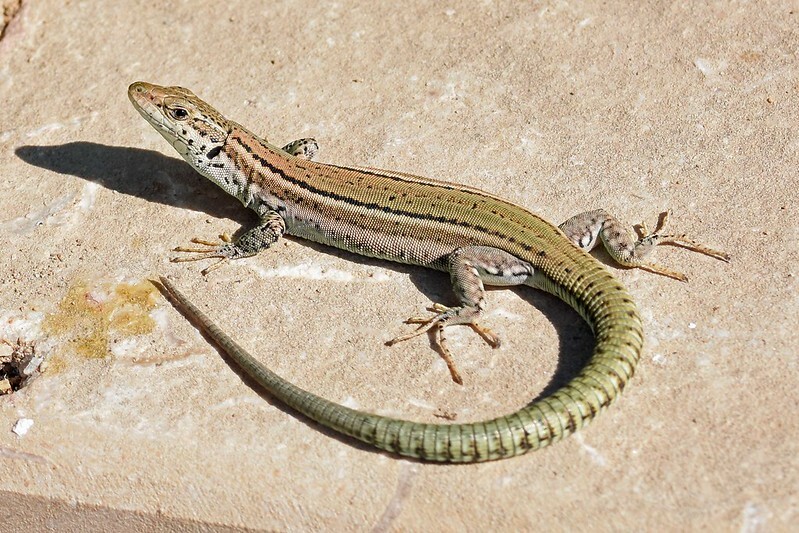 One lizard I have managed to photograph is Psammodromus edwarsianus. 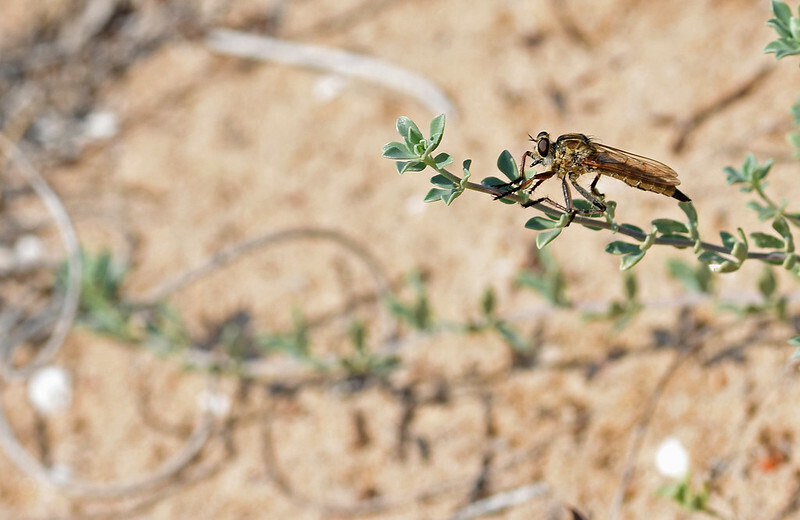 Lots of interesting insects within the dunes. 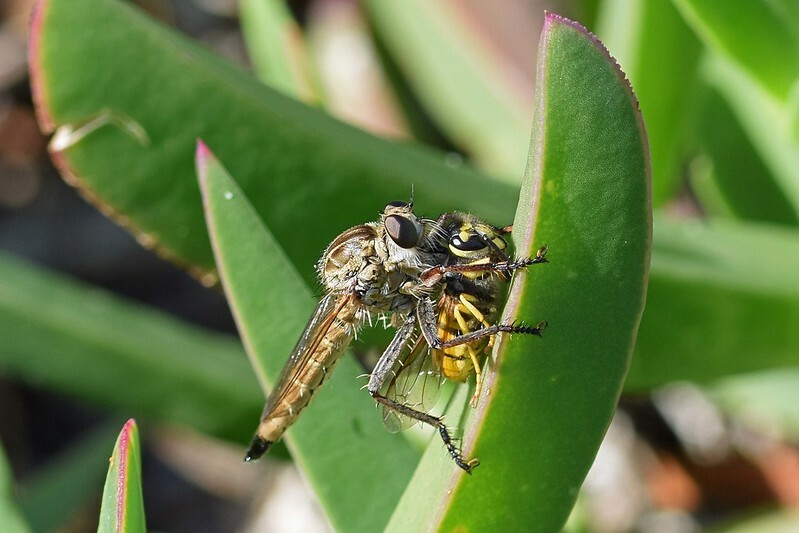 Robber Fly (Asilidae) waiting to strike. 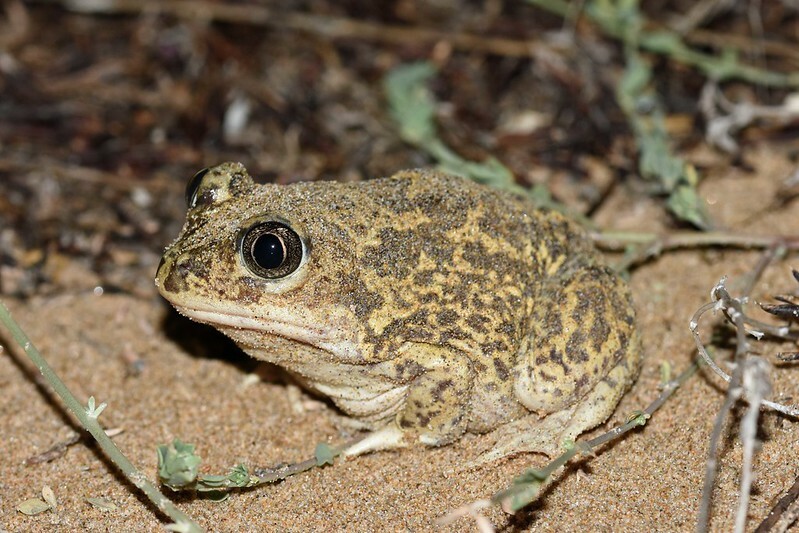 We made an after dark foray into the dunes and found many Western Spadefoot Toads (Pelobates cultripes) by torchlight. I was finally able to get some decent shots of these great looking amphibians. 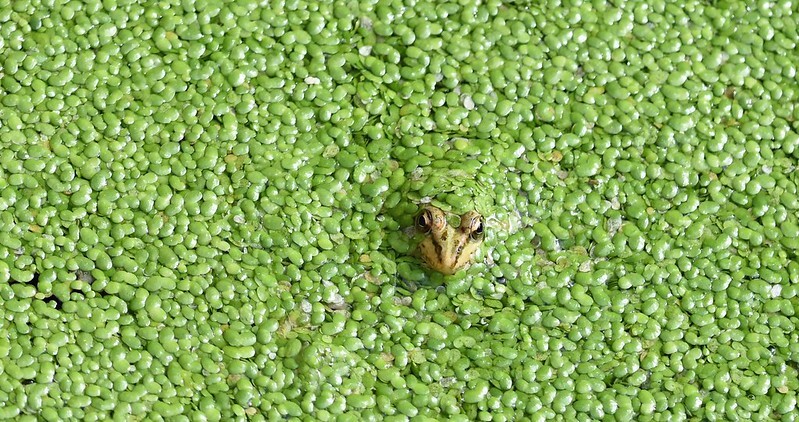 They sit tight as you arrange your camera around them, other frog species could learn a lot from them. 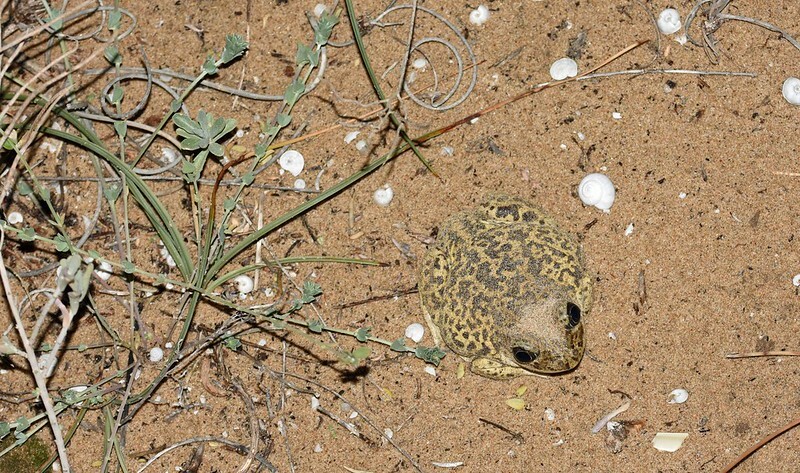 Next toad slightly further out of the burrow. 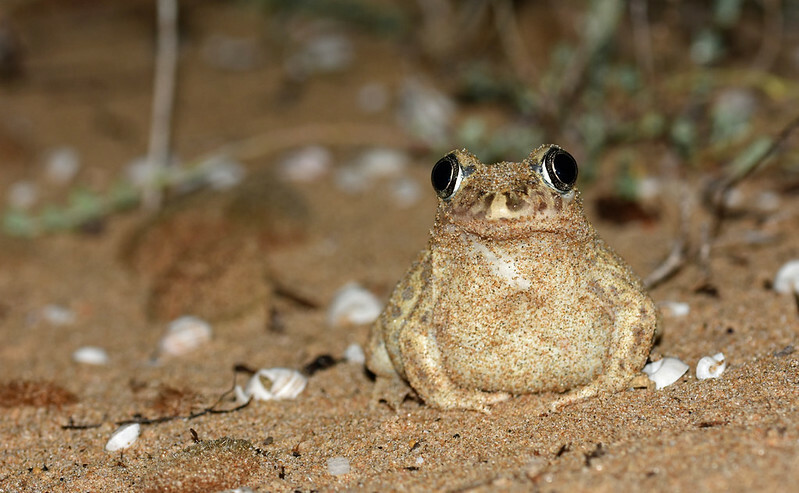 Within an hour most toads out and sitting in the sand. We have taken a couple of trips out into the rural areas. One footpath we used near the town of Villalonga took us along an old railway track. 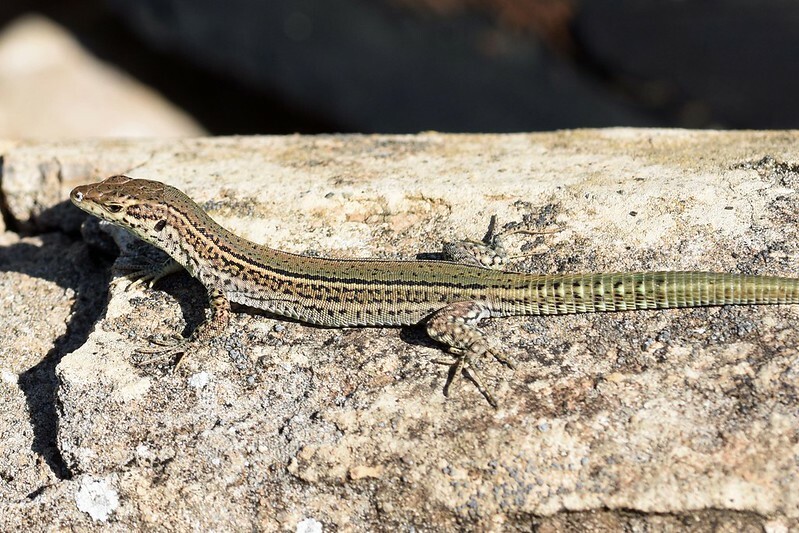 I managed to turn up a Bedriaga’s Skink (Chalcides bedriagai) under ground cover also lots of Large Psammodromus (Psammodromus algirus) basking in the vegetation. 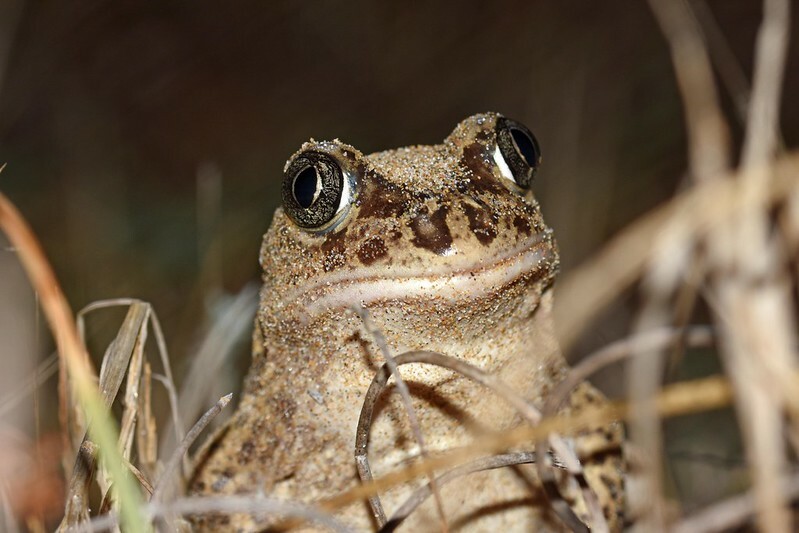 Many newly metamorphosed Spiny Toads and Iberian Water Frogs in puddles and damp vegetation. 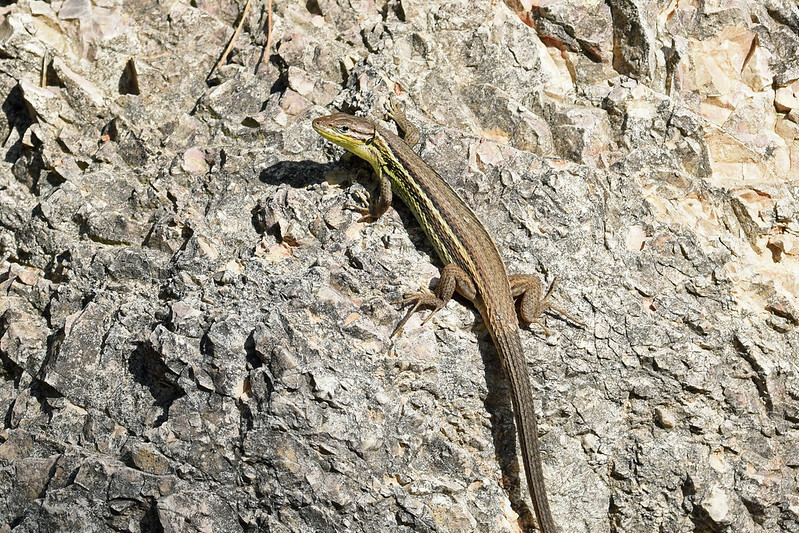 Large Psammodromus (Psammodromus algirus), more yellow on this individual than I’m used to seeing. The path continues on through several railway tunnels. 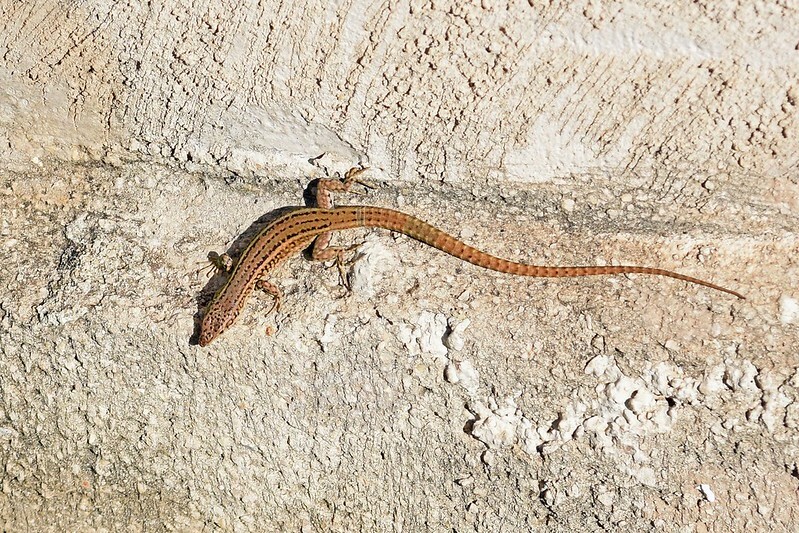 Walking through one we heard a hissing sound that could have been a reptile. Checking on the ground turned nothing up however in the roof of the tunnel was a hole containing a couple of bats both of which had been disturbed by our presence. I haven’t heard bats hiss before but there was nothing else it could have been. 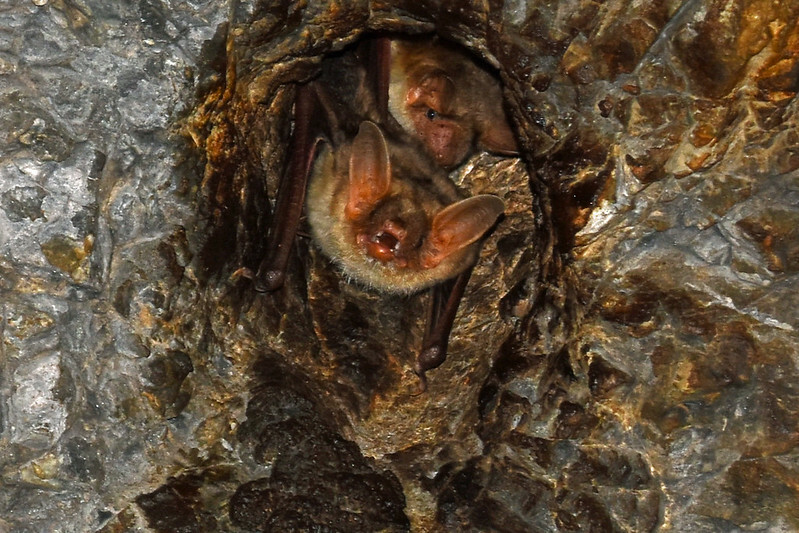 Greater Mouse-eared Bat (Myotis myotis) – unsure of ID. Anything further of interest we can find will be posted on this thread. 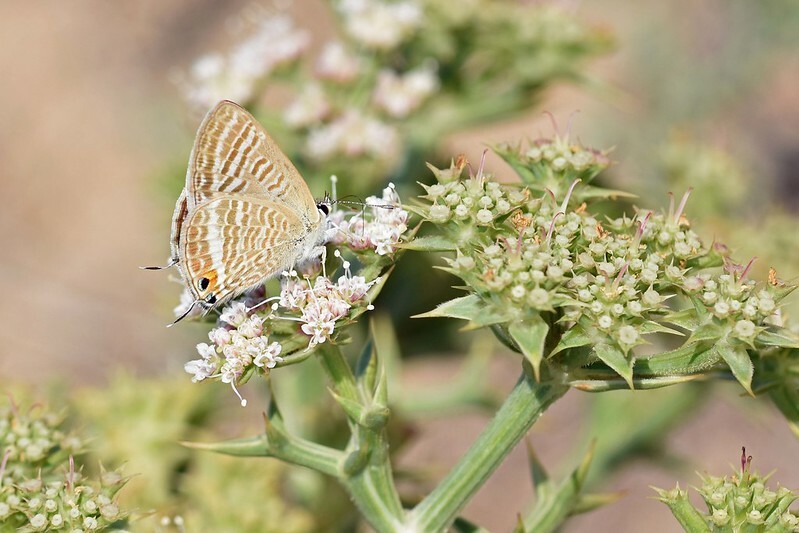 September sightings around Oliva are mainly still centred on the stream running down to the sea. 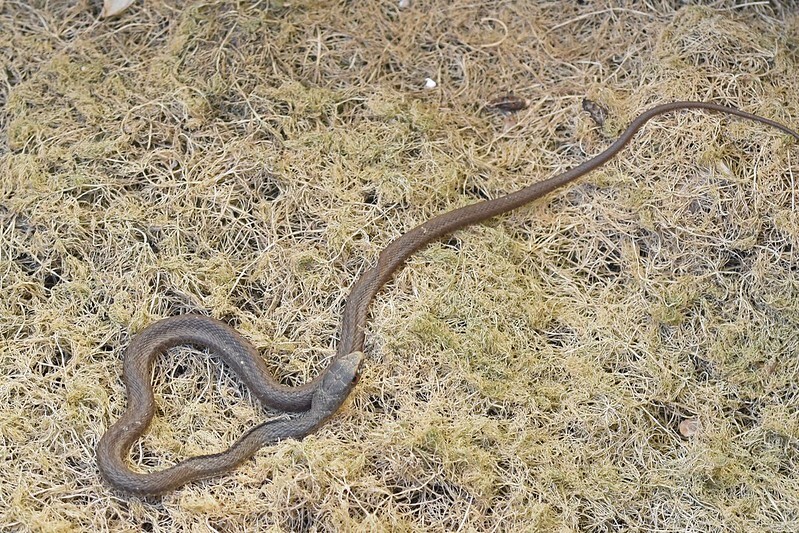 Hot, dry weather had reduced the amount of water travelling along its length, but this concentrated the Viperine Snakes (Natrix maura) into the deeper areas. 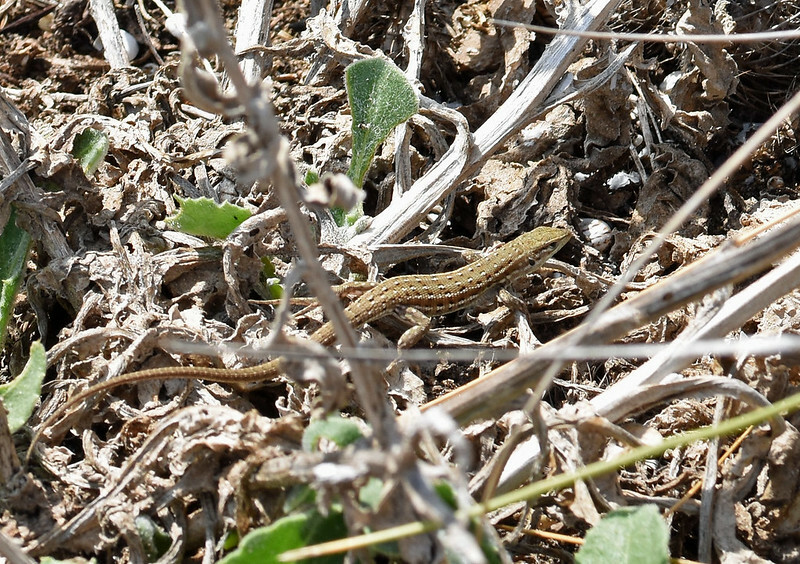 I was lucky enough to spot at least a couple of snakes each time I went down to the area. 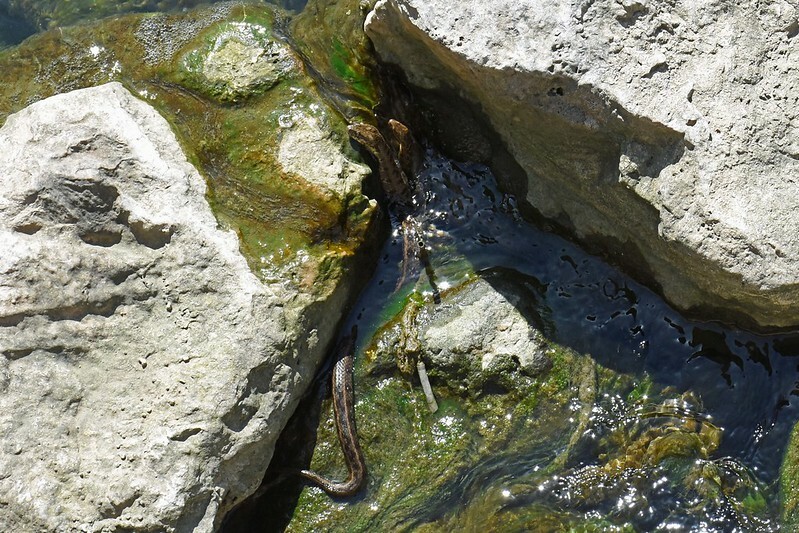 A pattern of behaviour seemed to develop whereby smaller snakes waited on the surface or just below, where two rocks squeezed the flow through a narrow gap. They could sometimes be seen striking at small fish that were carried in their direction. 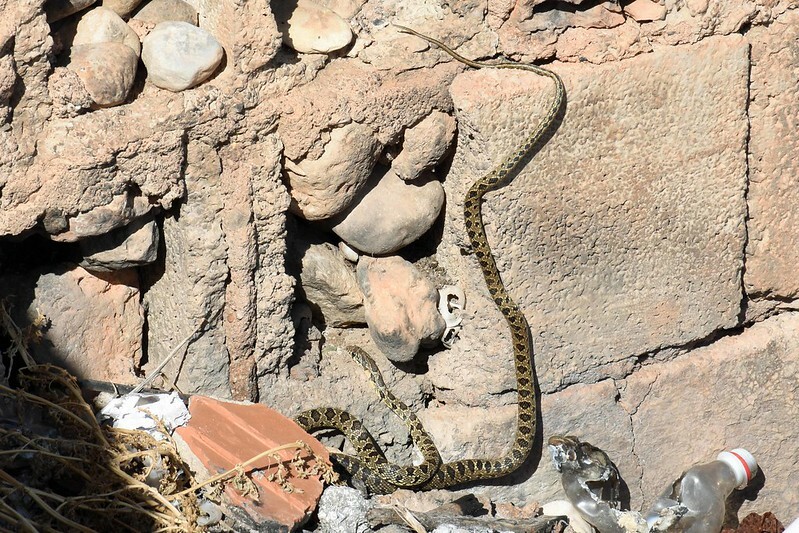 I have counted up to four snakes jostling for position at the same popular ambush spot. 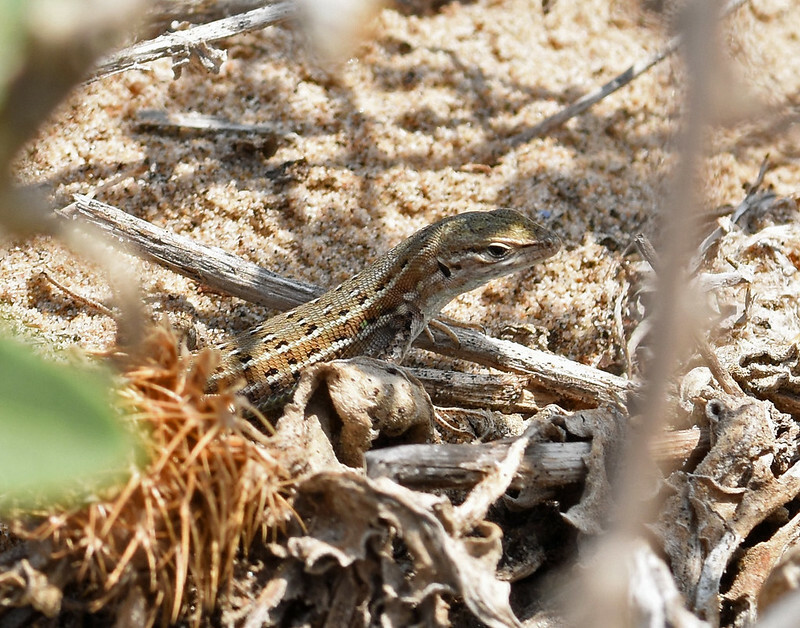 The other method of hunting was used by bigger individual snakes which actively searched through the weeds and around the rocks for food. 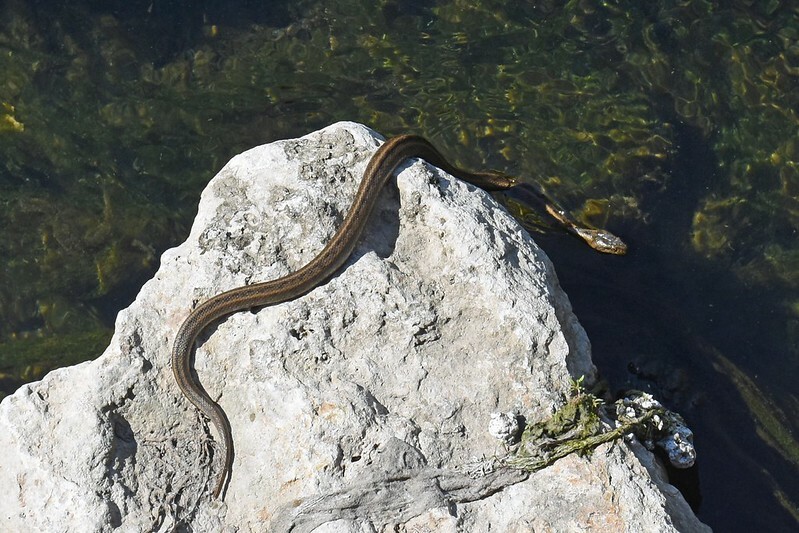 One large snake (I think it’s the same reptile) likes to drape over a boulder at the edge of the river with just it’s head under the surface. I’ve been down to the same spot in the evening a couple of times but only seen one or two individuals hunting in late dusk, no action after dark. The river is however full of red signal crayfish that are very active in the torch light. Not sure if they would be on N.maura menu. Wondering if anyone else any thoughts on this? 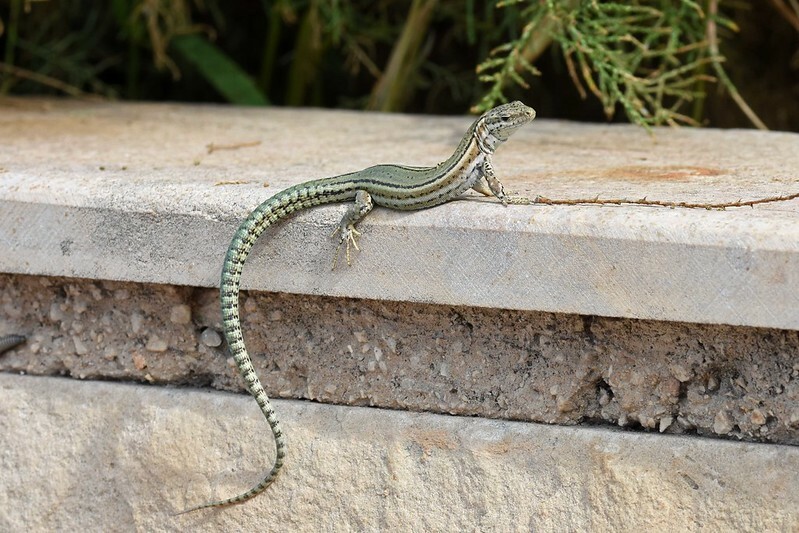 Catalonian Wall Lizards (Podarcis liolepis) are living up to their names and are frequently spotted on the low boundary walls between the citrus groves. Colours in this area are variable. Also spotted a large, dark Horseshoe Whip Snake partly coiled on the top of a breeze block wall on the outskirts of the town. It soon saw me and hastily reversed straight back down into the hole it was emerging from. I will hopefully get another chance for a decent photo of this snake. Very nice that you keep on uploading! Great in situ images! Love all the in-situ work, keep it coming ! Since the start of October weather has remained warm during the daytime but begun to cool off in the evenings. In the last few days there have been heavy thunderstorms. 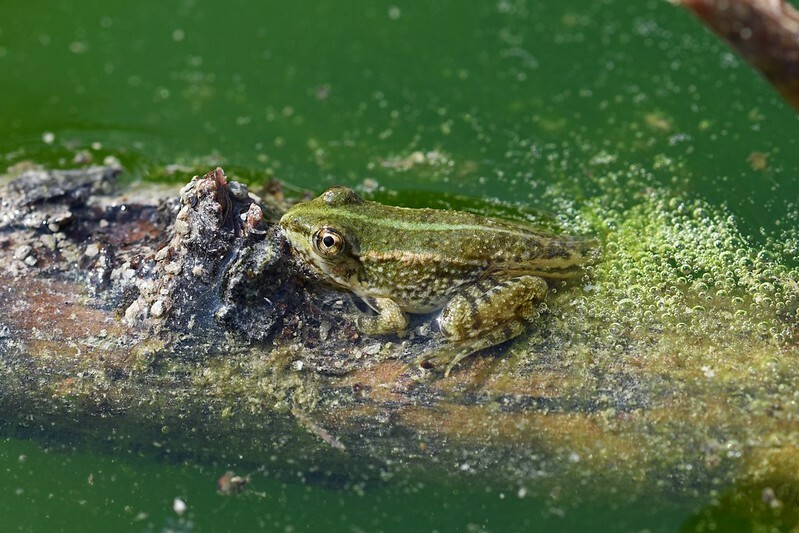 The Iberian Water Frogs (Pelophylax perezi) have begun calling in some areas and are more visible during the day. 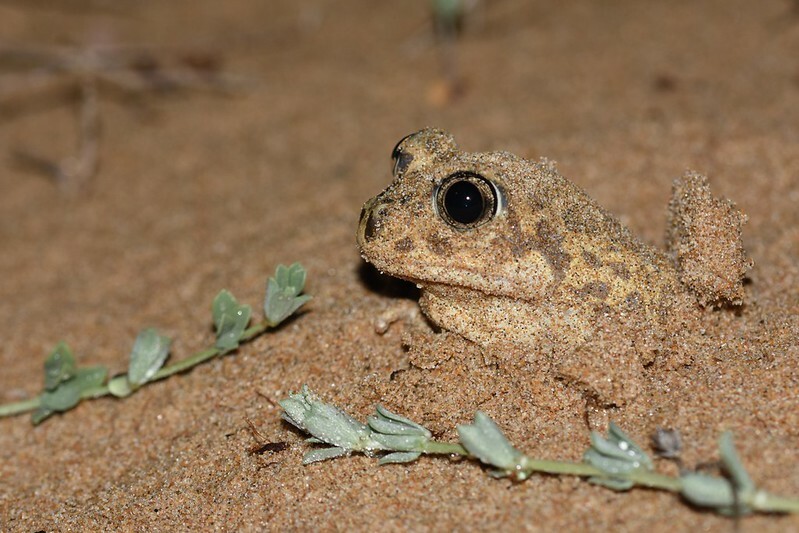 Meanwhile, despite three visits to the sand dunes after dark I’m still waiting to hear any calling from the Western Spadefoot Toads (Pelobates cultripes). Numbers seen have remained constant in the small area visited. 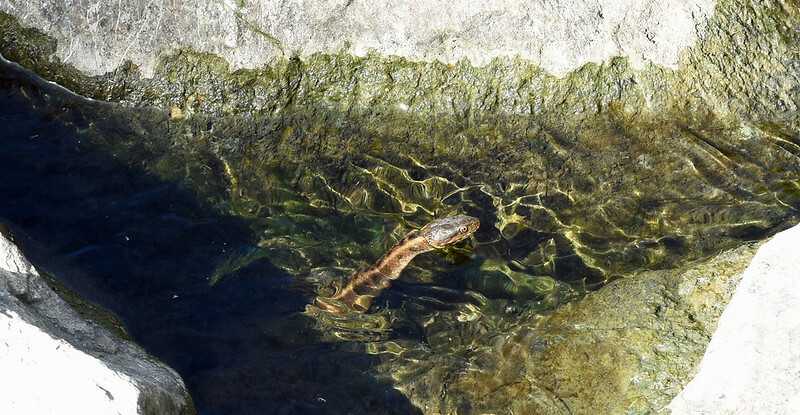 The river where Viperine Snakes (Natrix maura) have previously been observed is now a foot deeper and the channels where I had photographed snakes laying in ambush are underwater. 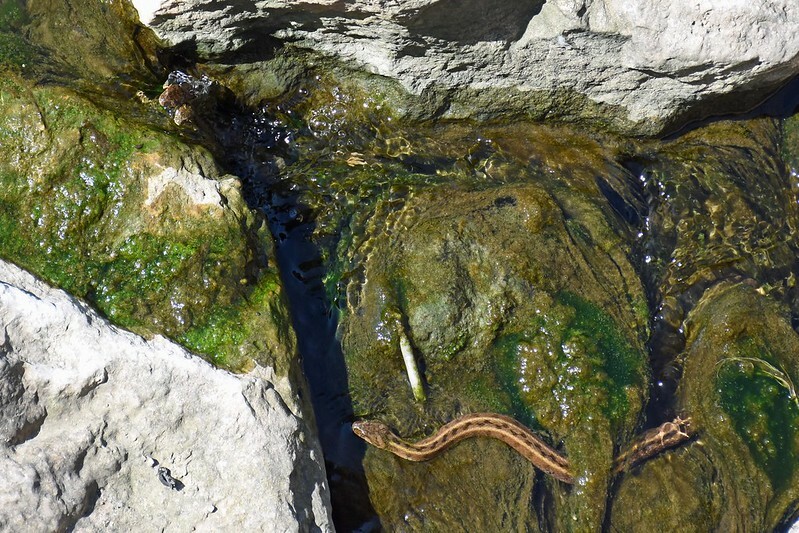 Occasionally a snake will still appear in the flow. 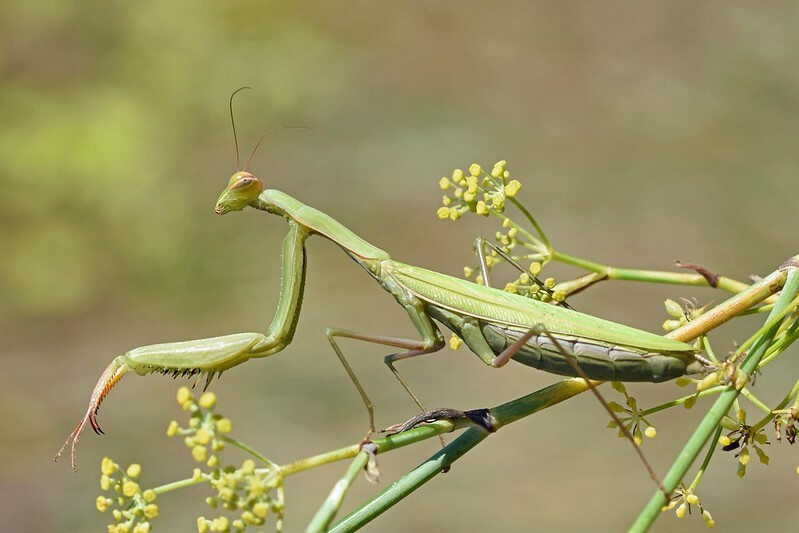 The insect life is increasing in number and suddenly mosquitos are beginning to make their presence felt at dusk. 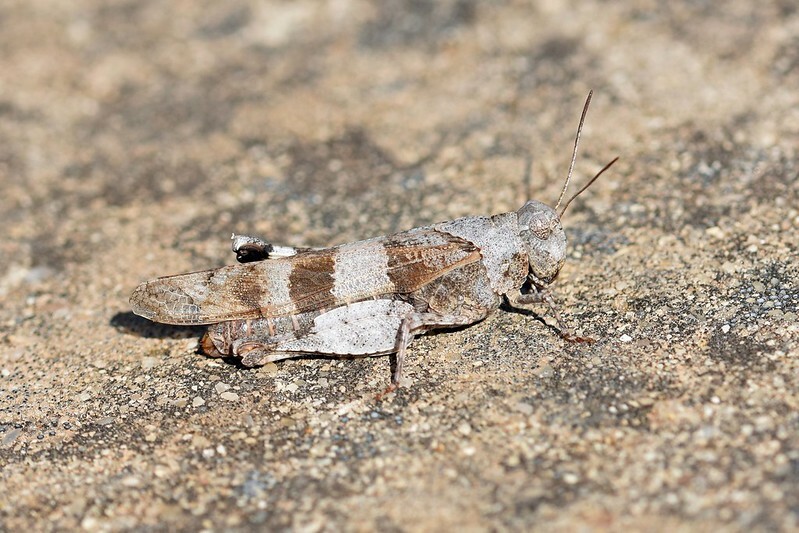 Grasshoppers are in biblical plague proportions along some of the footpaths and in the fields. 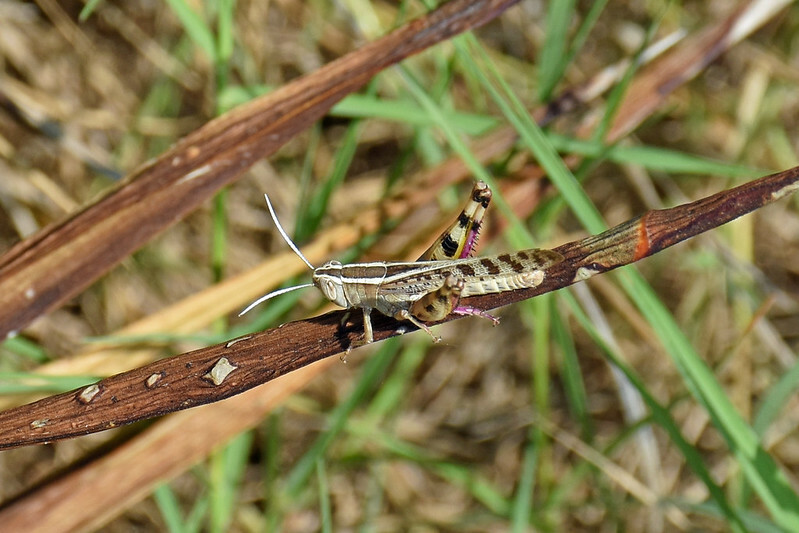 White banded Grasshopper (Eyprepocnemis plorans) – most numerous grasshopper species in the area. 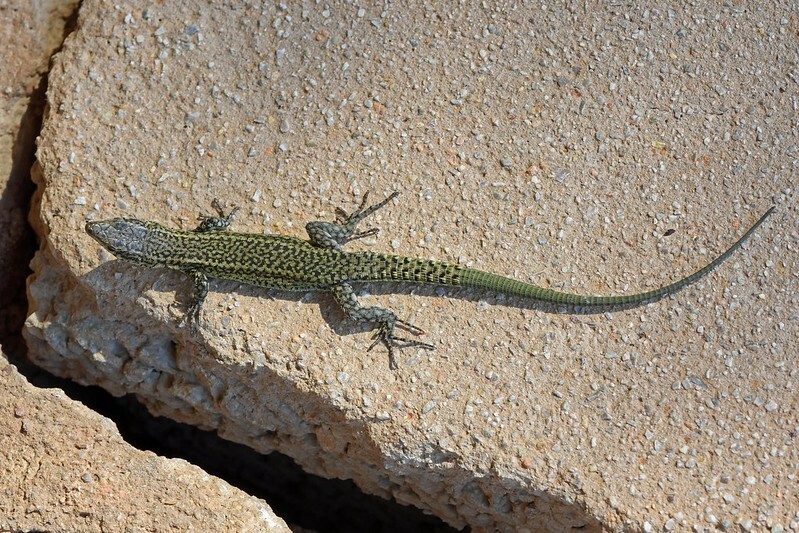 A low brick built wall at the back of a beach near the nearest big town of Gandia has been found to be home to a high density of Catalonian Wall Lizard (Podarcis liolepis), their colours and patterns variable. 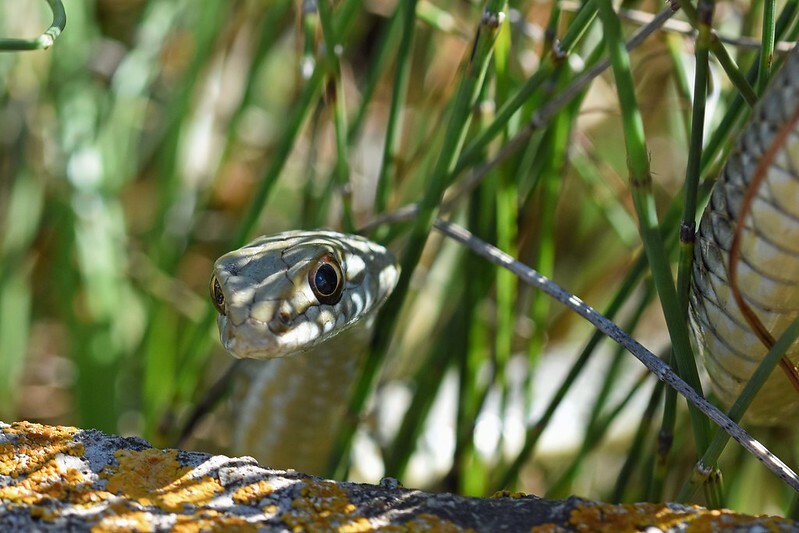 The large Horseshoe Whip Snake (Hemorrhois hippocrepis) that was seen at the end of the last post has not been seen again – possibly because the rough field it’s wall borders has been cut right back by the farmer. 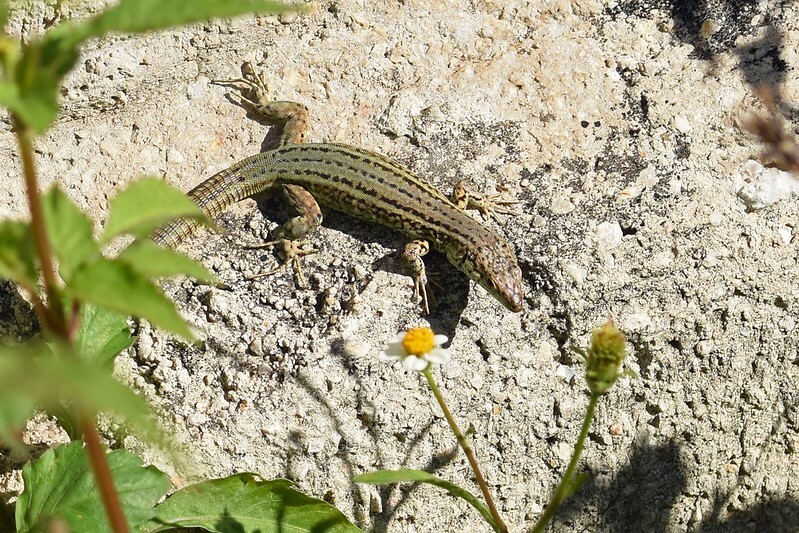 I did manage to photograph another one during a walk. It was off the paved road to my right and down a drop. 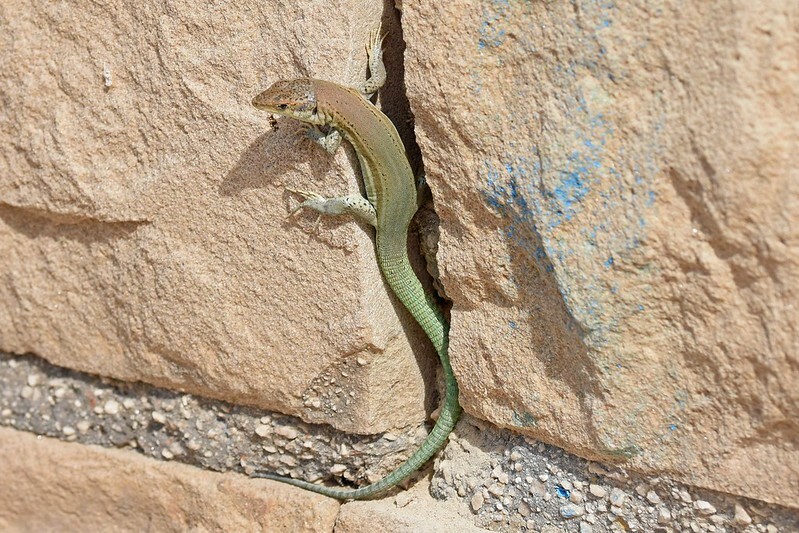 When I first noticed it the snake was busy investigating the holes along a badly made wall. It quickly noticed me and within a few seconds had found a hole in the bricks big enough to squeeze into. 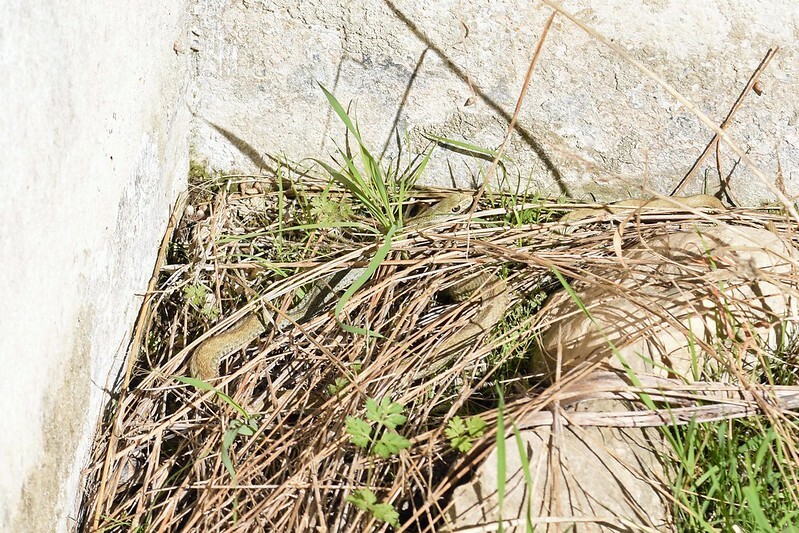 I have also found three Western Montpellier Snakes (Malpolon monspessulanus) trapped in concrete drains, all very thin and in poor condition. I have no idea why the drains are constructed with a deep sump like this, I’m sure many reptiles, amphibians and other wildlife must meet a lingering death as a result of entering them. I managed to get in and release two of the Montpellier and left a ‘reptile ladder’ to try and help the one I missed. 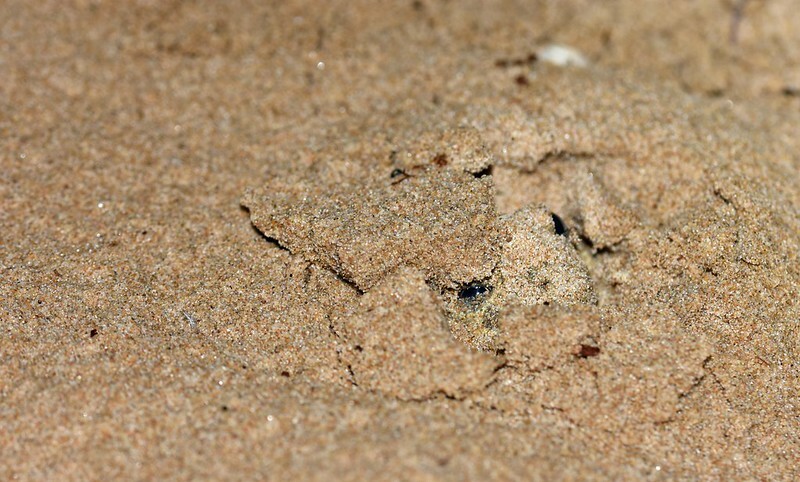 First trapped snake in situ. 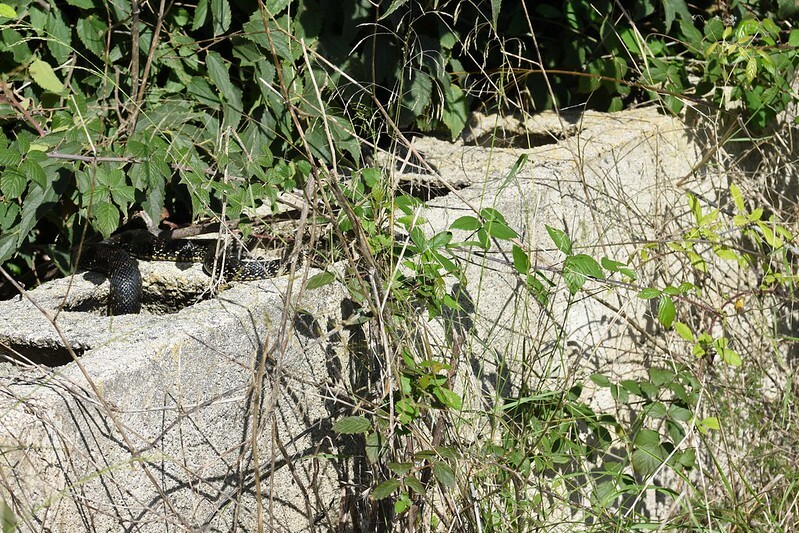 During a visit to Montgo Natural Park I found a shallow concrete based pond, possibly a livestock drinking place. 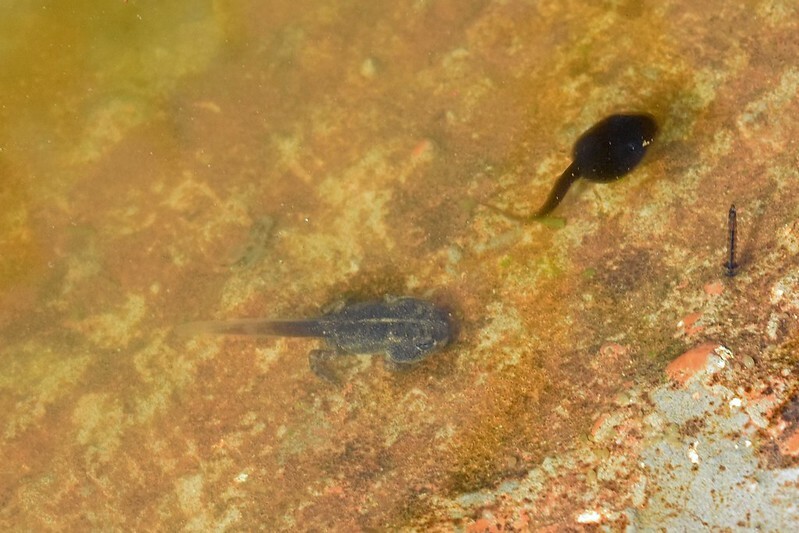 Lots of tadpoles still swimming round. 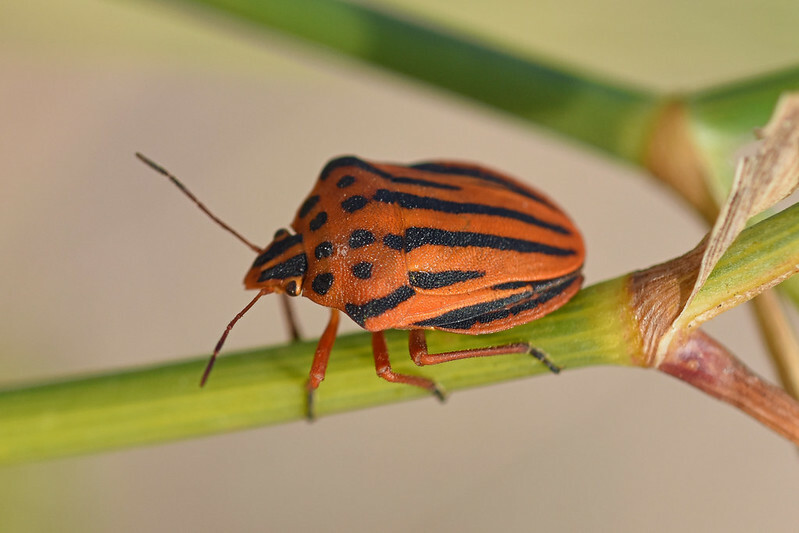 Looking for some confirmation on the species please. 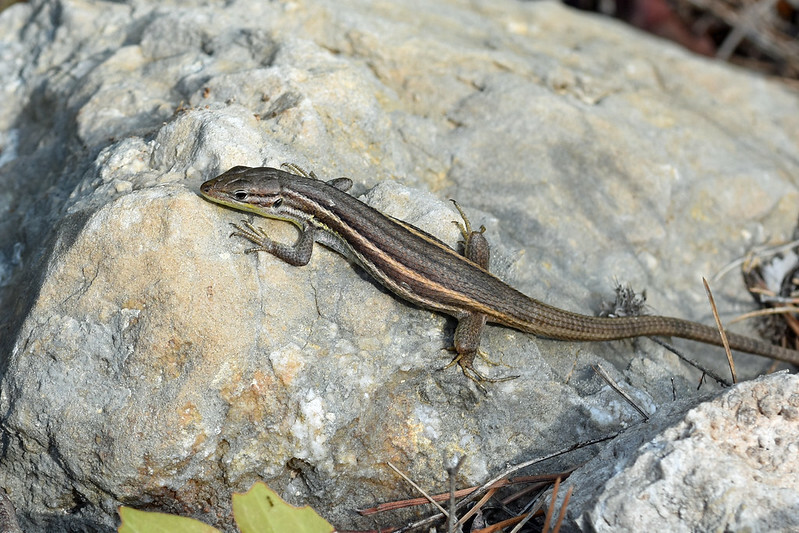 That one with a dorsal stripe looks like E. calamita for me. I agree Michal. 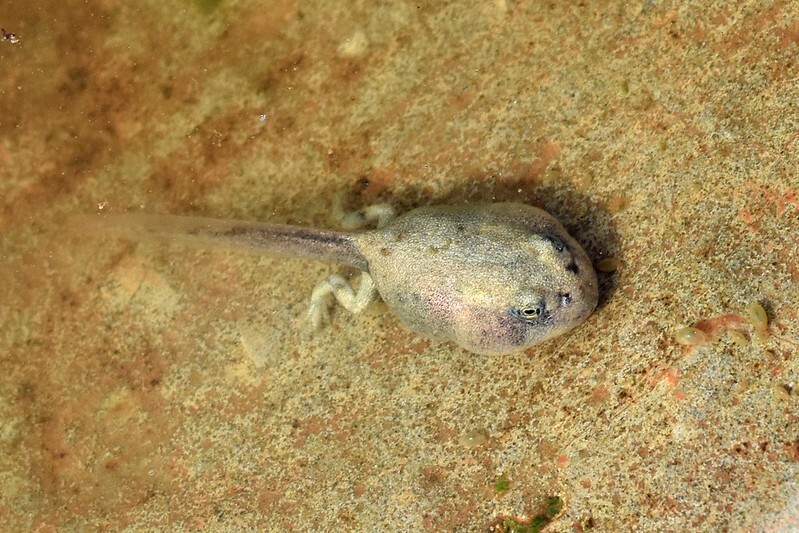 I think the developed tadpoles in photos 2 and 3 are Natterjacks and the large pale tadpole in photo 1 is probably Western Spadefoot. 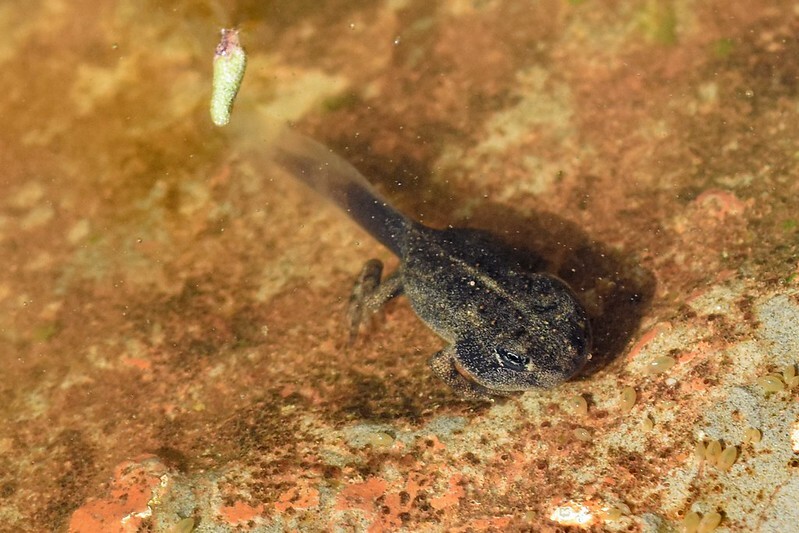 I'm also guessing the dark tadpole in photo 3 is also Natterjack but not sure. 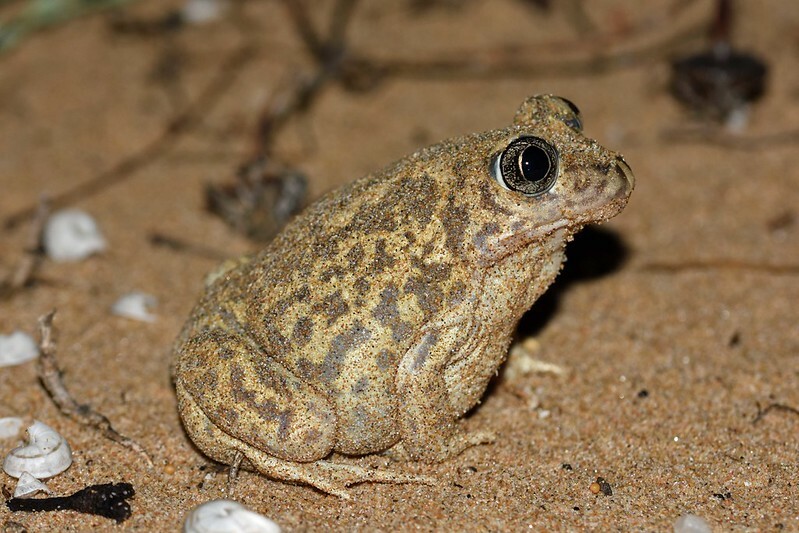 Could be Bufo spinosus perhaps. 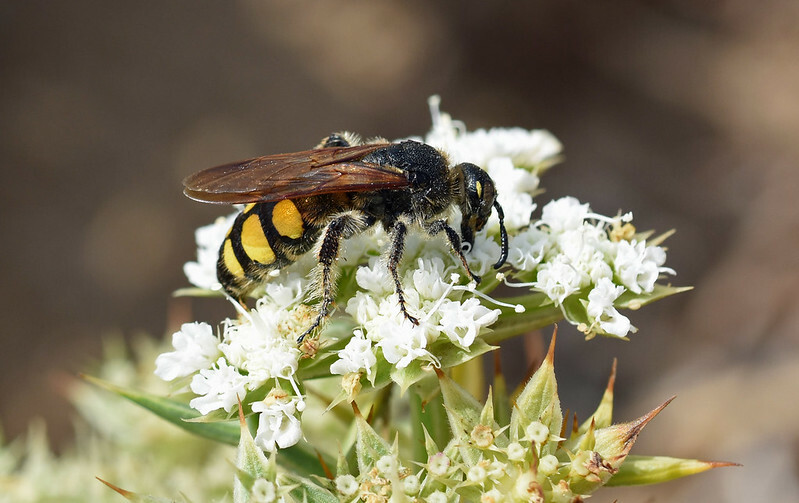 Great in situ pictures! Thanks for sharing.